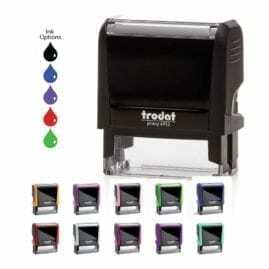 Print or type information clearly. Illegible applications or applications completed in pencil will be rejected. Pay to the Secretary of State a filing fee of $25.00 (new or expired commission) or $20.00 (renewal commission). Make checks or money orders payable to the Secretary of State. Questions should to be directed to the Notary Department at (405) 521-2516. 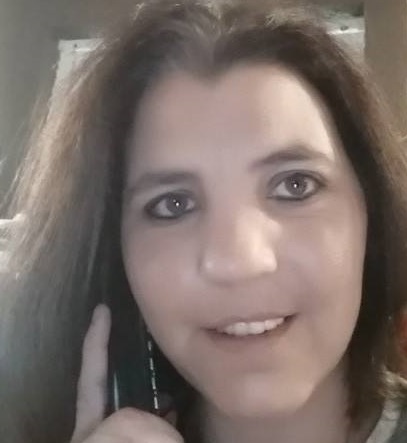 Additional applications may be obtained from our website at www.sos.state.ok.us or by calling (405) 521-3911. The Secretary of State’s Office will review your application for appointment as a notary public. If the application is found to be in order, your commission will be mailed to you along with an informational brochure and a blank bond form containing both an oath of office and loyalty oath. Your commission will be valid for four years. If corrections are needed, the application will be returned along with a letter of explanation. 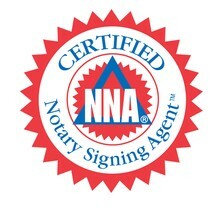 Upon receipt of your commission, a notary seal will need to be purchased and a bond obtained. Seal - The seal may be an embosser seal or a rubber stamp. The commission expiration date and commission number may be a part of the seal/stamp. 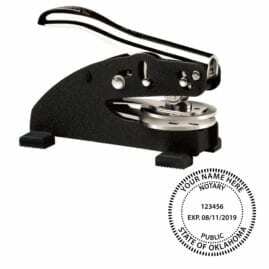 The notary seal must contain your name and the words State of Oklahoma and Notary Public. 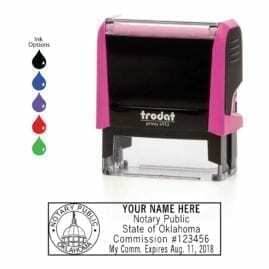 A seal may be purchased from any stamp and seal company or business that produces them. 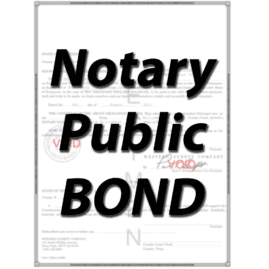 Bond - After the purchase of a notary seal or stamp, a $1,000.00 surety bond will need to be obtained. The bond must be valid for the same four-year term as your commission. A bond may be purchased from any insurance agency or bonding company or you may use individual sureties. The completed surety bond, oath of office and loyalty oath are filed with the Secretary of State. The filing fee, payable to the Secretary of State, is $10.00. Filing questions about the notary bond should be directed to the Secretary of State’s office.